Size: 10 M2 / 100 SF. 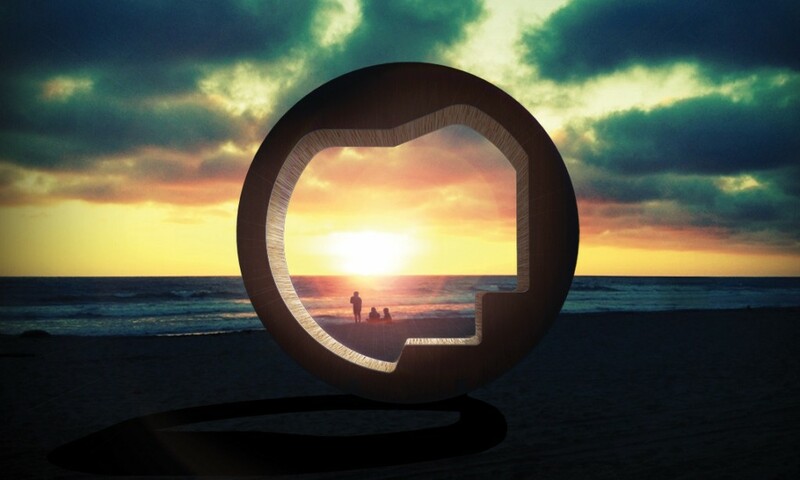 The Sukkah Wheel design takes its inspiration from the idea of a spiritual and physical journey. 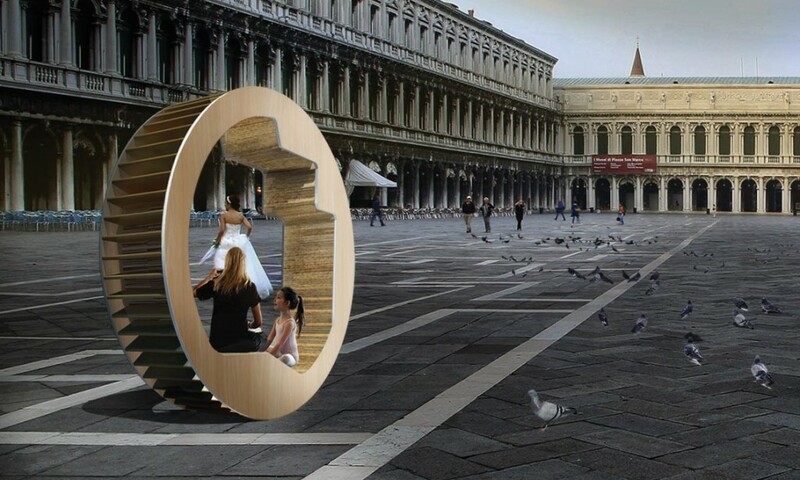 The Sukkah Wheel is mobile, allowing you to easily move it from place to place on your travels. 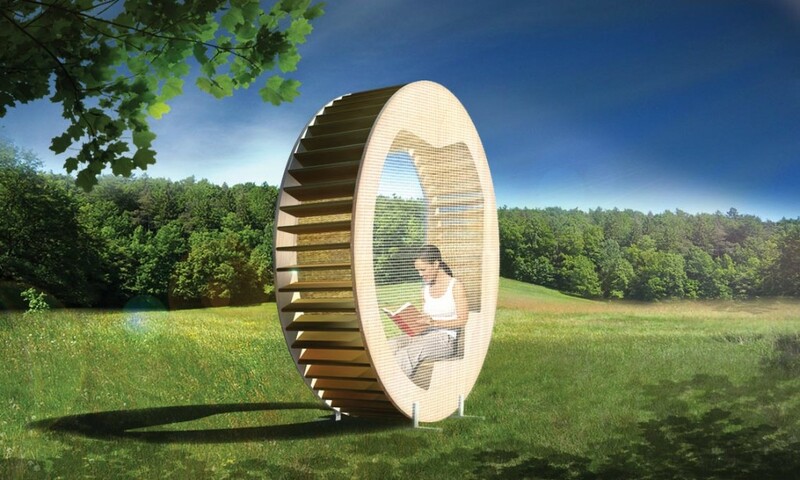 Whether you’re in the city the forest or the desert, the Sukkah Wheel can be rolled up and positioned so the interior space fits your needs both day and night: be it reading and eating during the day, having a friend over in the evening or resting at night, each position is achieved by a simple turn of the wheel. 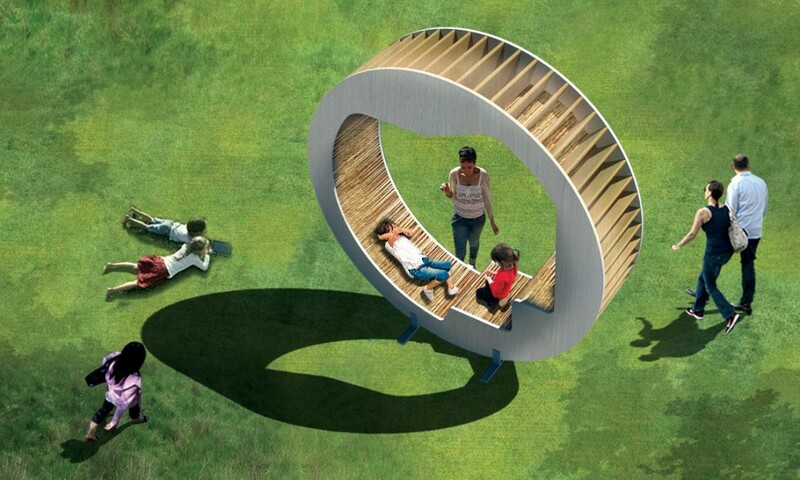 The Sukkah Wheel exterior is created from two wooden outer rings connected by wood spokes. 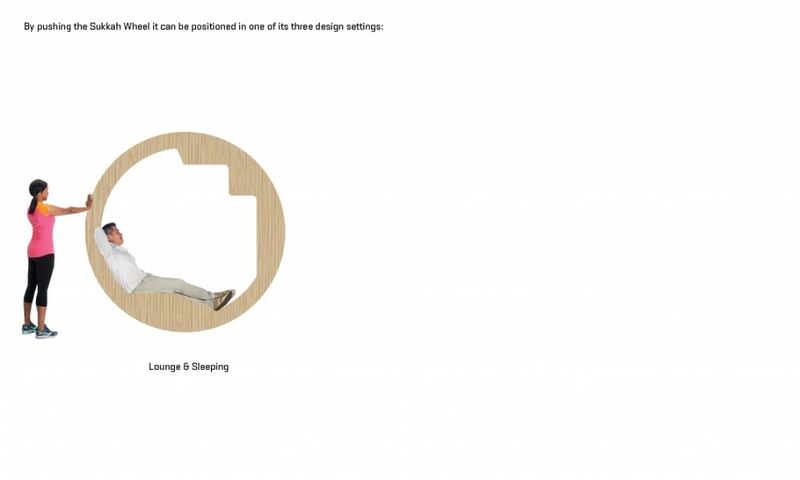 The interior is made from a combination of woven straw & branch mats that creates both cushioning and shade for the occupants while allowing for diffuse light to shine through. 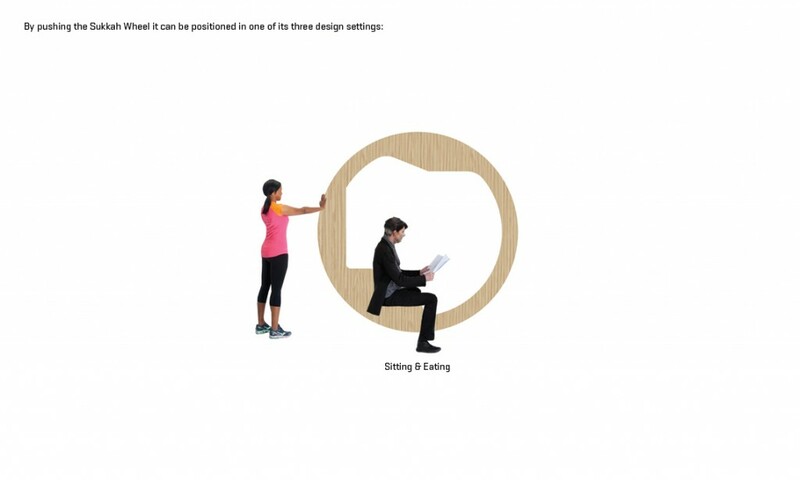 The interior shape is designed to fit three specific positions in which you can occupy the sukkah: resting, sitting and bench. 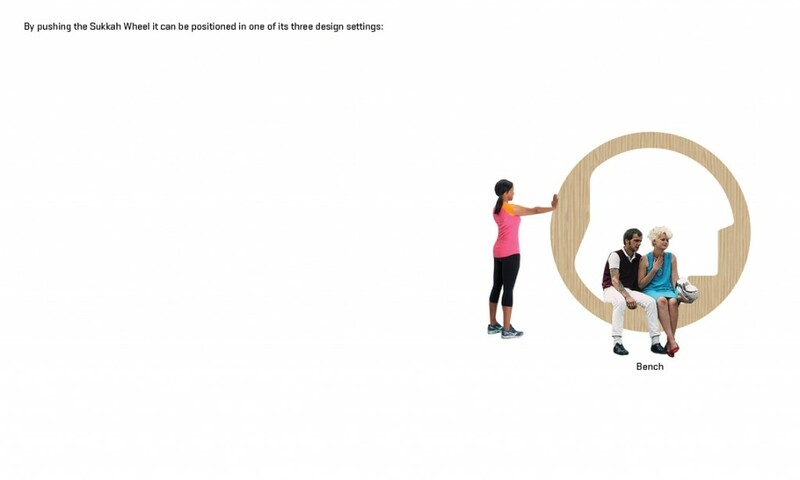 The Sukkah Wheel has an overall diameter of 8’ with the two outer sides of the wheel spaced 50” apart. 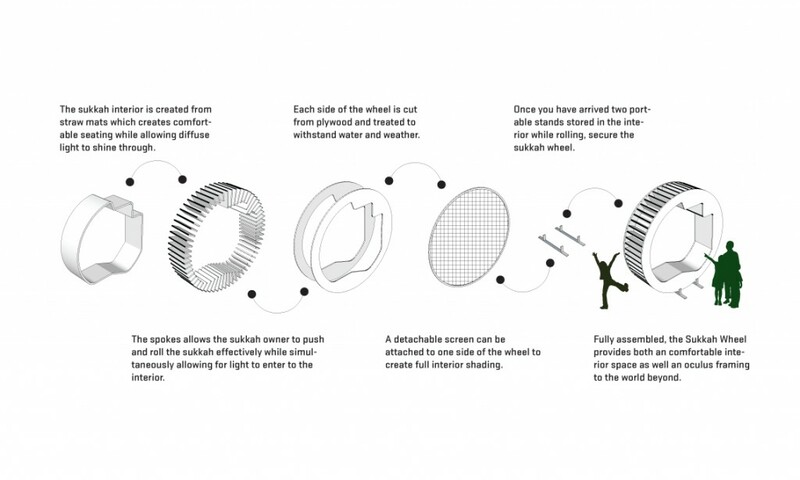 The interior wheel sides provides two walls to the sukkah with protected views to the sky, while a mesh screen can be attached to provide a third side to create a fuller enclosure as well as additional shading.